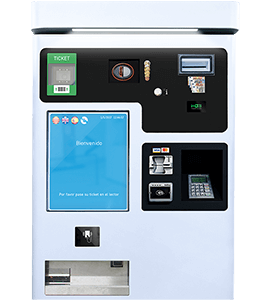 Our automatic parking barriers offers effective vehicular access control to car park or any installation. 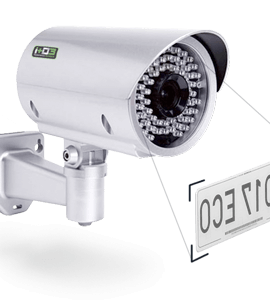 Leading technology installed becomes one of the fastest on the market, with an opening and closing speed of 1.5 seconds. With a stylish and sophisticated design, these barriers has a steel body resistant to all kinds of weather, and a 3 meter carbon fiber arm, light and durable. 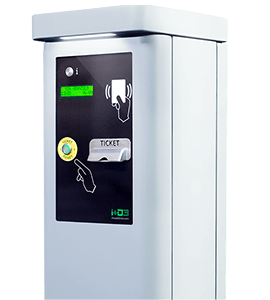 A barrier ideal for combining with our entry and exit equipment: the ticket dispenser and the ticket reader, offering a complete access control on your parking lot. Reflective surface for night visibility. Increased engine life over other barriers of the market. Our vehicle control barriers have and opening and closing 1.5 second speed, turning in one of the fastest barriers of the market. This parking barrier model has a reflective and resistant surface, allowing visibility even at night or in low light conditions. 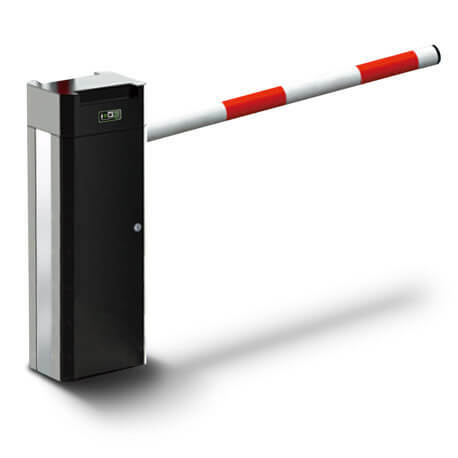 The bounce function of these vehicle access barriers increases the security and reduces the damage to vehicles: if it detects a body during closing, the arm will go up immediately. Open and close time is both 1.5s. Takes four-bar linkage, fast speed, safe and durable. Motor (gear motor) runs circularly, can effectively reduce barrier shaking, lower motor load, effectively extend life of motor (which is twice longer than common barrier). Professional appearance design,barrier case uses 2mm cold rolled sheet, orange lines surface with UV protection and electrostatic spraying, anti-rust, fastness, dust proof, waterproof, conforming to IP55 class and suitable for outdoor usage. Gear motor doesn’t need maintenance,without current shock when stuck in running. With intelligent over-heating protection, can effectively protect controller extend life of controller. Takes contactless optocoupler limit switch, long life, precise limit,remove position deviation and wrong action caused by bad contact of switch or limit error. 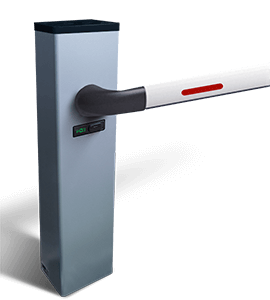 Barrier controller is equipped with high-sensitive prior up and controller integrates with ground detection, resistance rebound, infrared anti-hit port, can also select anti-hit boom with pressure detection. Physical anti-hit: barrier boom is with rubber strip or filled with foam cotton, can lighten damage caused by accident. Resistance rebound function: during the downward process, if meet external resistance, barrier boom will immediately upward,with high sensitivity. During the downward process, if receive trigger signal from ground detector,barrier boom will up barrier immediately. Infrared anti-hit: During the downward process, if receive trigger signal from infrared, barrier boom will up barrier immediately. When up input signal continues or RS485 serial orders are in smooth mode, barrier will ignore any down actions and keeps up status, until barrier boom input sends resolve signal and barrier receives down trigger. Circuit Self-check: during the operation automatically examines abnormality of circuit and gives alarm. Structural Anti-freezing: use aviation dedicated anti-freezing grease. Barrier doesn’t get frozen in northern cold areas and can operate well. Clutch Function: under circumstance of power-off or emergency, use dedicated tool to separate clutch arm from principal axis, barrier will be in motoring separation status, can open/close barrier by hands. Anti-collision Function: when a car with speed 15km/h hits the barrier,barrier boom is knocked out, but principal axis and other structures will not be deformed or damaged. After barrier boom can operate normally.